The roots of the above mentioned quadratic equation are 4 and -2 respectively. 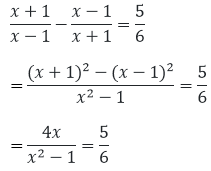 The given equation is (2x + 3) (3x - 7) = 0. The roots of the above mentioned quadratic equation are x = -3/2 and x = 7/3 respectively. 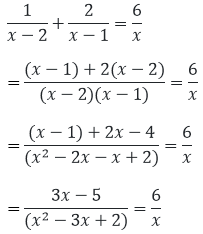 The roots of the given quadratic equation are 5 and x = - 1/3 respectively. Find the roots of the equation 9x2 - 3x - 2 = 0. 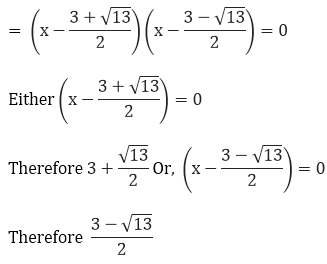 The given equation is 9x2 - 3x - 2 = 0. = 9x2 - 3x - 2 = 0. The roots of the above mentioned quadratic equation are x = 2/3 and x = -1/3 respectively. Find the roots of the equation 6x2 + 11x + 3 = 0. 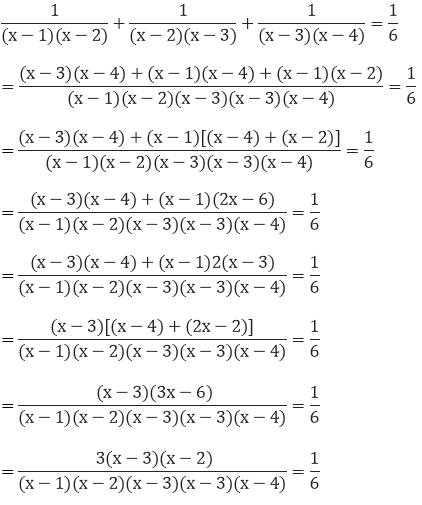 The given equation is 6x2 + 11x + 3 = 0. = 6x2 + 11x + 3 = 0. 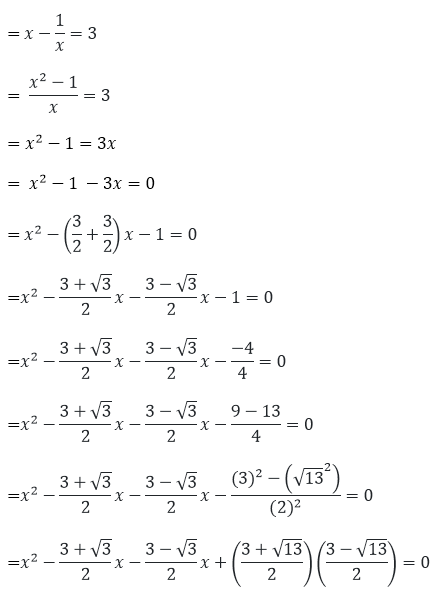 The roots of the above mentioned quadratic equation are x = -3/2 and x = -1 /3 respectively. The given equation is 5x2 - 3x - 2 = 0. = 5x2 - 3x - 2 = 0. The roots of the above mentioned quadratic equation are 1 and x = -2/5 respectively. 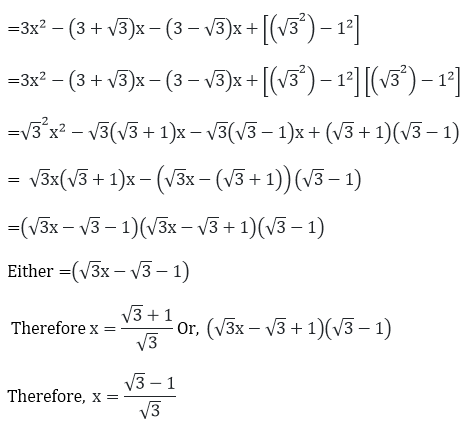 The given equation is 48x2 - 13x - 1 = 0. = 48x2 - 13x - 1 = 0. = 48x2 - 16x + 3x - 1 = 0. The roots of the above mentioned quadratic equation are x = -1/16 and x = 1/3 respectively. The roots of the above mentioned quadratic equation are x = -2/3 and -2 respectively. The roots of the quadratic equation are x = - 4/5 and x = (-1)/5 respectively. Cross multiplying both the sides. 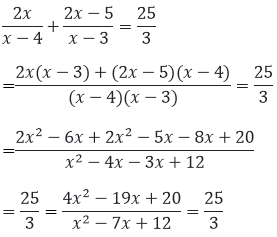 The roots of the above mentioned quadratic equation are 1 and 2 respectively. 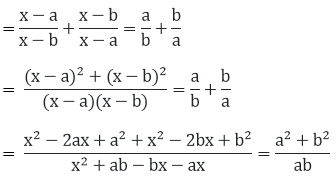 The roots of the quadratic equation are x = 2/ba and x = b/a respectively. The roots of the above mentioned quadratic equation are x = (- a - b)/2 and x = (a - b)/2 respectively. The roots of the above mentioned quadratic equation are x = 4b/a and 4a respectively. 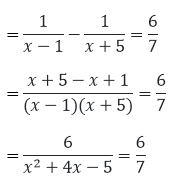 The roots of the above mentioned quadratic equation are 5 and -1 respectively. 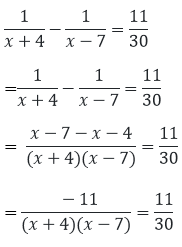 The roots of the above mentioned quadratic equation are 6 and 40/13 respectively. The roots of the above mentioned quadratic equation are x = (- 2)/9 and 4 respectively. Therefore 4/3. 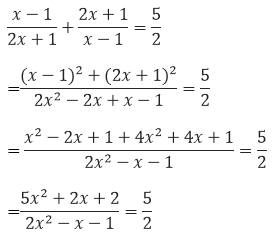 The roots of the above mentioned quadratic equation are 3 and 4/3 respectively. The roots of the above mentioned quadratic equation are x = −1/5 and 5 respectively. Cancelling out the equal terms on both sides of the equation. = 9x = -9 X = -1 X = -1 is the only root of the given equation. Now, one of the products must be equal to zero for the whole product to be zero for the whole product to be zero. 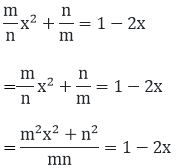 Hence, we equate both the products to zero in order to find the value of x. The roots of the above mentioned quadratic equation are 0 and a + b respectively. Cancelling out the like terms on both the sides of numerator and denominator. 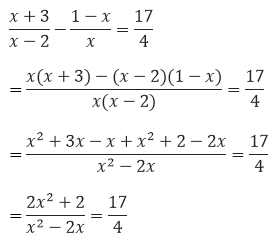 The roots of the above mentioned quadratic equation are 7 and -2 respectively. 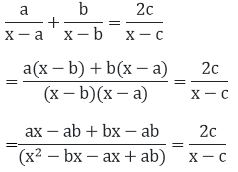 The roots of the above mentioned quadratic equation are 2a and b respectively. 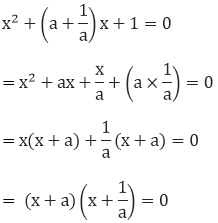 The roots of the above mentioned quadratic equation are - and 1 respectively. The roots of the above mentioned quadratic equation are  (a) and x = 1/a respectively. Therefore x = 1/a. The roots of the above mentioned quadratic equation are x = 1/a and - a respectively. The roots of the above mentioned quadratic equation are x = c/b and x = −b/a respectively. The roots of the above mentioned quadratic equation are x = 1/b2 and x = (-1)/a2respectively.